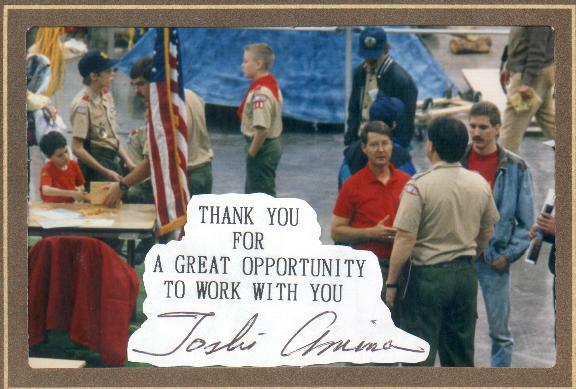 The CyberSpace Jamboree on CompuServe began as a part of the first Scout Show in the new Simon Kenton Council [Columbus, Ohio USA] Some 15,000 Scouts and Scouters in the Ohio Vally where comming together to celebrate the future of Scouting and the "new" council... Several Older councils merged into one. Scouting the bridge to the future. LCI had free long distance calls around the world to other Scouts. Sun had free video Conferences through the InterNet. Sparc hooked to ISDN back to Sun utilizing the "ShowMe" software. 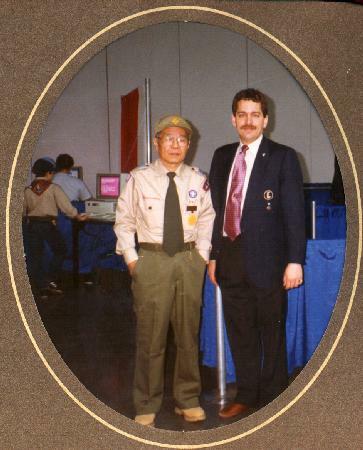 Though it was only to be local, the Scouting CyberSpace Jamboree featured Scouts with electronic messages and pen pal from Japan, Australia, London and other cities around the world. Scouts tested their knowledge about drugs by playing "Drugs Are A Deadly Game." The entrance to the area had Youth checking to see if the Scout had already been trained or not. If they had taken the "Usage" training on the appropreate manners neccessary to participate the Scout would be given a number and go to the queueing area. If the Scout had not yet received their training s/he would go to the training area. Upon successful compleation of the training the Scout would receive a stamp that would allow them to skip that section and go straight to the queue. We provided Sun MicroSystems with a white backdrop for the video conferences. This cut down on the network traffic. We had an ISDN link back to their local office then used their privet T1 network around the world and to the InterNet. The Sun display was well received. Youth not only where able to take part in video teleconfrences but also, they received printouts of themselves and also their forign counterparts. Timmers where utlized so that each Scout would have equal access to the network. When their time was up they would have to leave or go to the end of the queue. All training classes where less than (5) minutes. The goal of the class was to discuss the use of the equipment and remind them that a Scout is Clean. Since we had sixteen communication stations the trianing area housed sixteen Scouts. 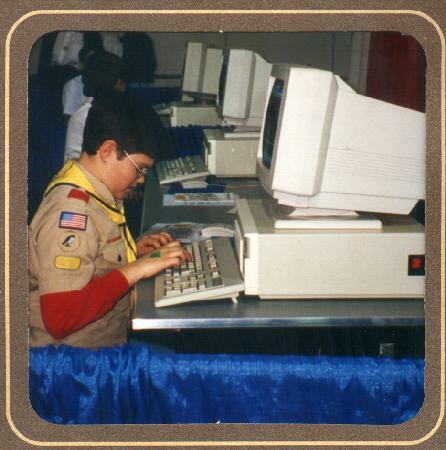 These Personal Computers where placed on different height pedestals so different aged Scouts could walk up and use the computers while standing. Personal Computers where used for terminals. Some of the Computers had Flat Panel LCD Displays attached to them. The displyas where placed on an overhead projector and viewed by the audience on large screens. "Moderators" where appointed to maintain the quality of the conference. Any youth using profain language was instantly removed. It took approximetly (40) Scouts to man the booth. (15) CompuServe Floor Captains, (3) Sun Floor Captians, (12) Drug Prevention Personal Computer Instructors, Crowd Control, Traininers: The Explorer Scouts worked in three/one hour shifts. That gave each youth two hours between their shifts to visit other exhibits at the Scout Show The bulk of the needed youth came from the DCSC Explorer Post. Ham Radio Scout Units within Ohio. Ham Radio Scout Units in Adjacent States. 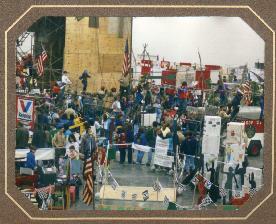 Ham Radio Scout Units in United Sates. Ham Radio Scout Units Around The Wold. 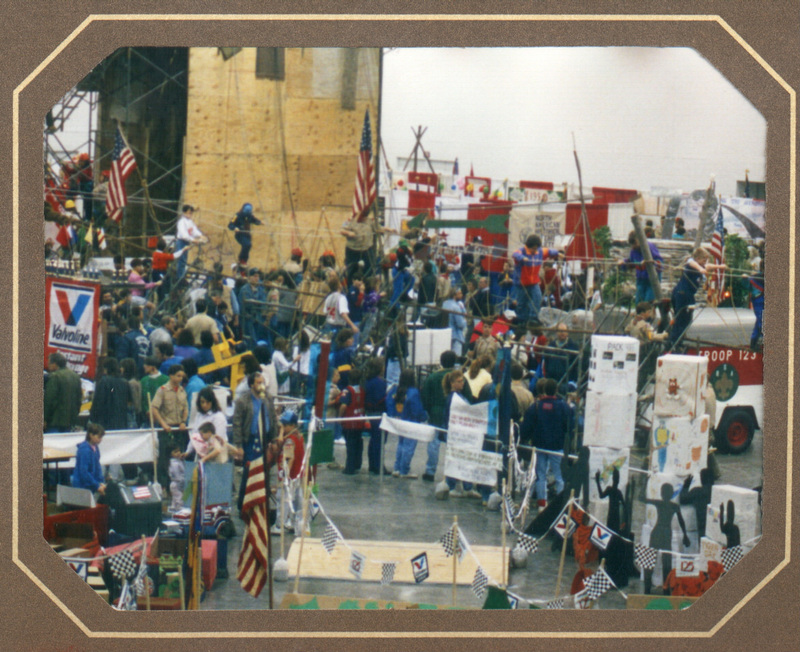 On-site units offered hands on activiites for Scouts to hear communication with other Scouts around Ohio, The United States, and the World. LCI provided two phone lines and arranged to offer direct dial service to London, Japan, Australia, plus Columbus' Sister Cities. Interpreters where provided. A schedule posted of countries and Troops that where called, along with a picture of the Troop. Scouting activiities and projects where discussed along with information on the cities themselves. This was a very exciting and participatory project. 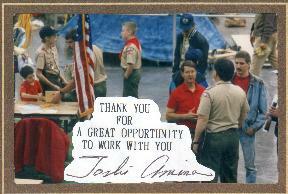 Simply stated it let Scouts learn and participate in what was required to put on a (5) minute local television newcast. The closed circuit television program on a special Scout news, weather, sport set was donated by the local News Station WSYX Chanel 6 with pooled equipment, switchers and lights. Anchor - Coordinates, leads Troop, and does Scout news around world. 2 minutes. Sports - Covers Scouting activiity in sports, Scout Show, and special events. around the world. 1 minute. Topic A:	"What Scouting Means To Me"
Topic B:	"What I learnd From This Worldwide Scouting Scout Show 93"
Anchor - Closing Story - features Scout from overseas Visiting Columbus on wet with message from his Troop to Columbus. Four programs per hour where telecast with four different Scout Troops News Teams. The teams where selected in advance by sign up and an audition. There where 24 teams. Each team received one practice period preceeding the live telecast of the show. Parents where encouraged to tape if they wish. The best taped team was broadcast to Ohio during the "real" 6:00 news. 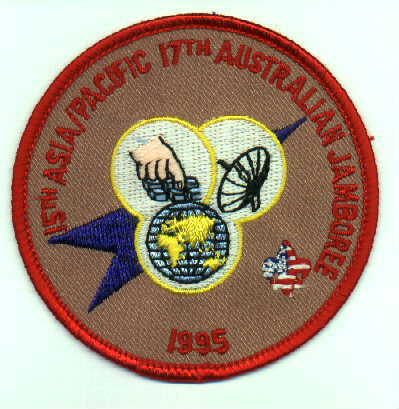 The second CyberSpace Jamboree was planned to go national, it went global. There where only 137 World Scouting CyberSpace Jamboree patches made. 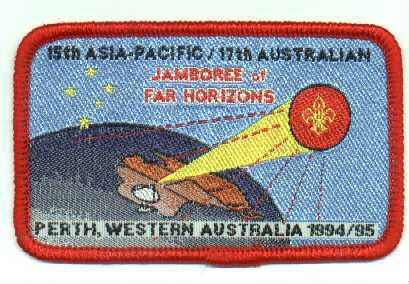 They where distributed at the 1995 17th Australian Jamboree in Perth. 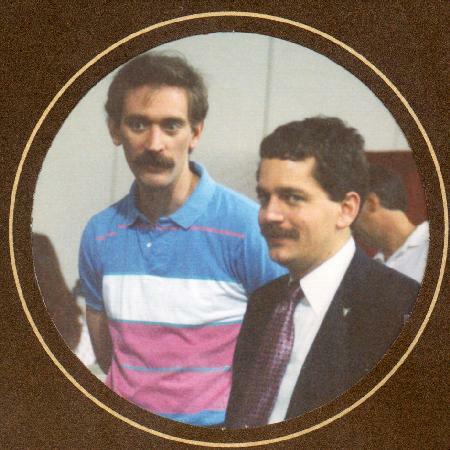 1995 Cyberspace Jamboree would not have been possible if not for Mark Gaynor in Perth! Other activities that went on at the 93 Scout Show!